Home How It WorksNEW About Sign In Sign Up! 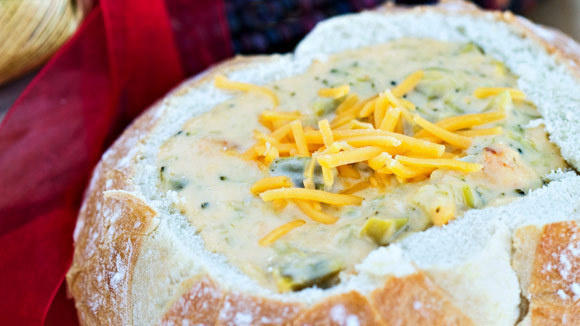 The broccoli-cheddar soup at Panera Bread practically has a cult following; the bakery-cafe chain ladles out more than 50 million cups of it every year. Make your own at home for your family and save money and get keep the raves for yourself. You'll need just one head of broccoli for this perfect imitation — bread bowls are optional, but very highly recommended. Must sign-in to write comments.